Obama proposed spending $714 million on a new facility in Kansas, which may take over Plum Island as the top animal disease testing facility in the country. 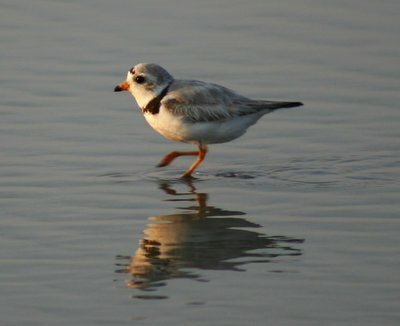 President’s Obama’s proposed budget for the next year allots $714 million to finish the construction of an animal disease testing facility in Kansas, which would take over the role of Plum Island Animal Disease Center and force the Cold War-era facility to close its doors permanently. Plum Island advocates had been fighting to keep the multi-million dollar facility open, as well as keep the approximately 400 jobs on the small island, located less than a mile off of Orient Point. The research facility was created in 1954, when scientists first began conducting research on how to protect livestock from contagious diseases. It was the site of key research in developing a vaccine for foot-and-mouth disease in cattle, as well as understanding how the disease spreads to humans. In Obama’s proposed budget, animal disease research such as that conducted on foot-and-mouth disease would be moved to Manhattan, Kansas, where a National Bio- and Agro-Defense Facility, will be erected. The NBAF facility in Kansas is expected to take years to complete, and so the Department of Homeland Security expects the Plum Island facility to remain open for at least another ten years. Representative Tim Bishop calls the project in Kansas a “billion-dollar boondoggle," and said in a statement, "I will continue my fight against this unnecessary and unaffordable facility." It is unknown what will become of the island itself, but the Preserve Plum Island Coalition is looking to prevent development on the rest of the island and use the land as a wildlife refuge. The Audubon Society has named the island an “Important Bird Area,” as it is a critical location for the conservation of large groups of birds and at-risk species. The island includes habitats for native birds such as piping plovers, canvasbacks, common terns, least terns, and horned larks. Dolphins and two species of seals are also seen off the shores of the island. Budget Vacation Packages - How to Get the Deals! 10 Valentine's Day Proposal Ideas! Tunisia To Form New Government After Assassination of Secular Opposition Leader? Keeping Your Honeymoon On a Budget! House Raises Debt Ceiling in Exchange for "No Budget No Pay"
Subject: LongIsland.com - Your Name sent you Article details of "Government Eyes Closing Plum Island in New Budget Proposal"